After being inspired by results from the Australian Early Development Index (AEDI), the Library has added more than 50 new early learning kits to its collection. 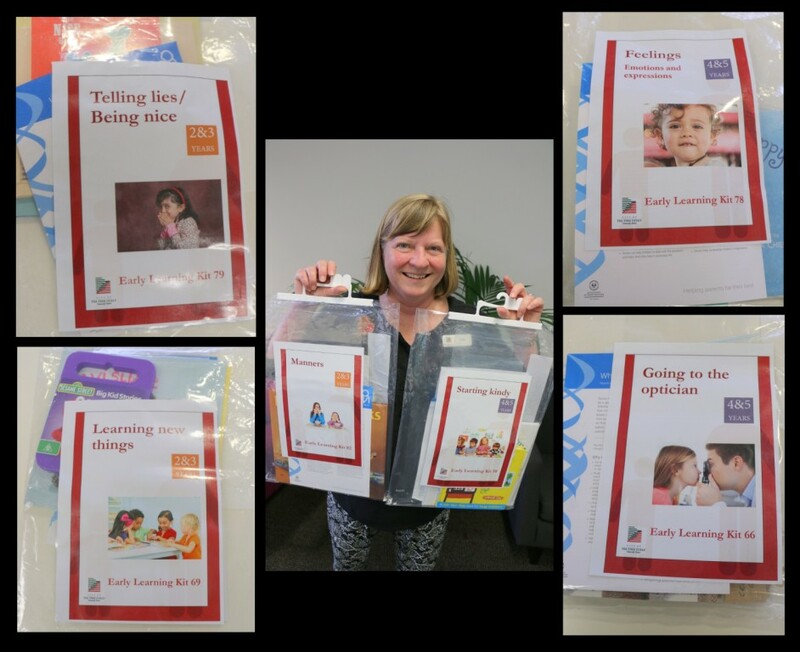 Julie, our Children’s Librarian with some of our new early learning kits. These kits are a valuable teaching aid for parents and carers of young children, as well as professionals.. They have been created on The Early Years Learning Framework for Australia principles – Belonging, Being and Becoming. Each themed kit is categorised into age groups – 0-2 years; 2-3 years and 4-5 years – so selecting the appropriate material for your child is easy. The kits contain books, activity toys and include Parenting SA Easy Guides that are appropriate to the theme. Early learning kits have been in our collection for a couple of years and are very popular. They are available to loan for 2 weeks.